Gary R. Gross died Thursday, December 6, 2018 at the age of 67. He was born December 28, 1950 in Alma, the son of Ronald and Patricia (Ayris) Gross. Gary earned a Bachelor’s Degree from Ferris State University in Industrial Electronics/Data Processing. He was a member of St. John’s Lutheran Church, enjoyed traveling and collecting license plates. 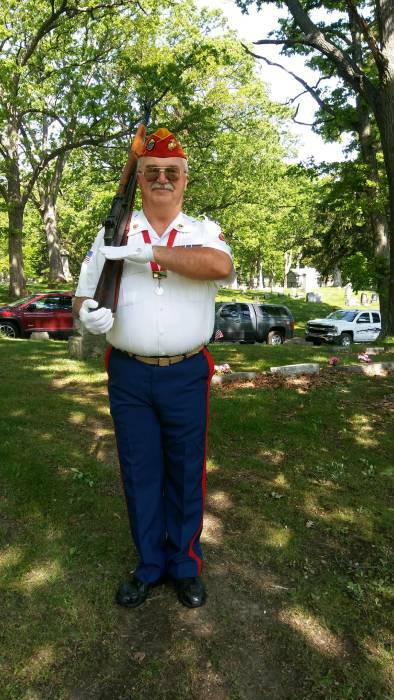 Gary was a proud U.S. Marine Corps veteran, a member of the Marine Corps League #841 in Owosso, MI and a lifetime member of the American Legion. Gary was retired from the State of Michigan where he worked in data processing. On December 28, 1974 he married Carol McGillis and she survives him. Also surviving are two sons, Jeffrey (Katie) and Anthony (Lisa); four grandsons, Michael, Ethan, Corbin and Caleb; two sisters, Mary (Barry) Freed and Sherry Harkness and one brother, Jerry “Pete” (Sandy). He was preceded in death by his parents, one brother, Terry and a sister, Wendi Gross. A memorial service will be held at 6:00 PM Friday, December 28, 2018 at the American Legion Post # 57 201 E. Mason St. Owosso, MI 48867. Memorials may be made to the American Cancer Society, Breast Cancer Research or the Marine Corps League. The family was assisted with these arrangements by Keck-Coleman Funeral Home, St. Johns.